We come once again asking and seeking your support so that we can continue being Artisans of Peace. The negative and hate-filled climate in our country has made this past year a challenging one like no other. 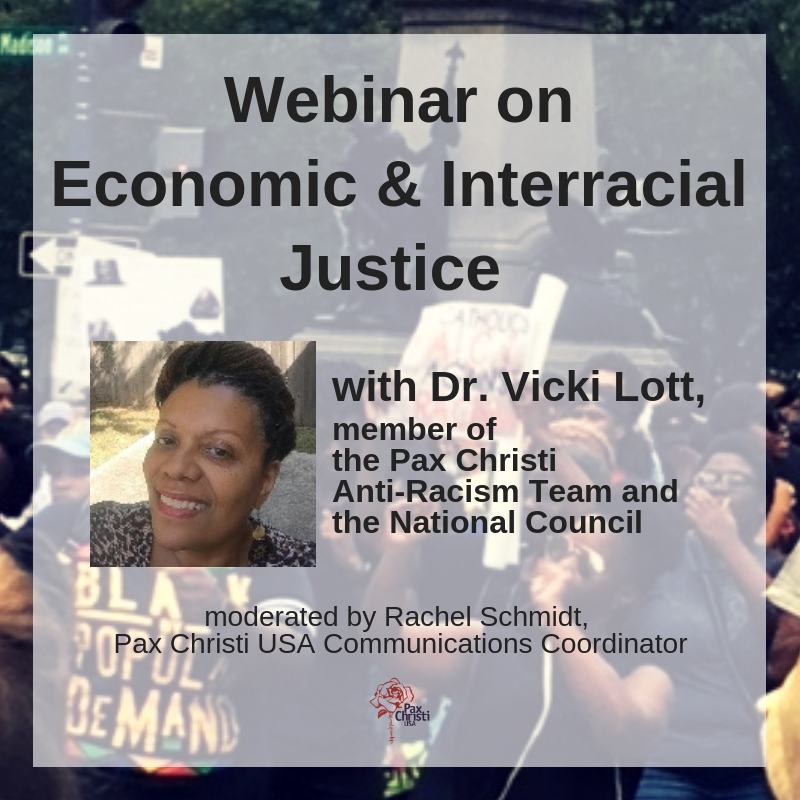 Pax Christi groups, high schools, religious congregations, parishes and young adult groups have invited us to do presentations, workshops and talks on how to resolve conflicts nonviolently and ways to address racial injustice within their particular organizations. They have an energy and a passion for justice. They have the ability to speak up and to show up. And in addition to asking lots of questions they also have the ability to do critical social analysis…to look at things with a critical eye and to feel deeply when justice is denied. They realize that peace building is the work of a life time. It is neither a fad nor a whim. It is not for the faint hearted, nor the whiner, nor the one looking for instant gratification and immediate results. Please consider a donation of whatever you can afford to Pax Christi during this Christmas season so that we can continue our work of peace and justice. You may visit www.paxchristiusa.org/donate or call us at 202-635-2741 to make a donation. Your gift will multiply in ways unimaginable, and your presence will be embodied in the presents you give. During this holy season, I wish all of you, your families and all those you love, a Merry Christmas, Feliz Navidad, Joyeux Noel, Blessed Kwanza, Frohe Weihnachten, Buon Natale! One Week to Pre-Order the Lent Booklet!